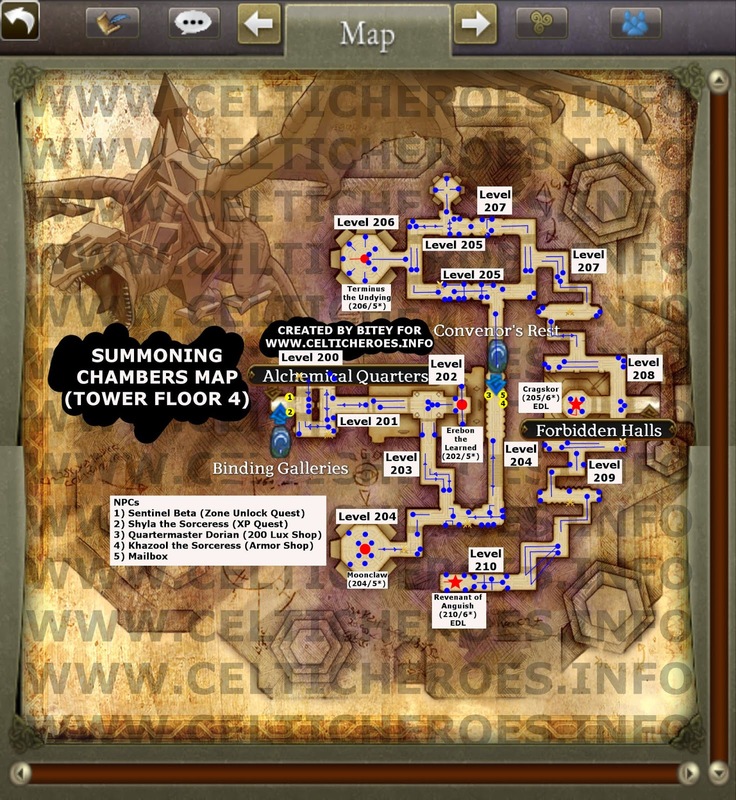 This guide will tell you everything you need to know about the fourth floor, Summoning Chambers zone in the Gelebron's Tower Update. This zone is designed for levels 200-210. 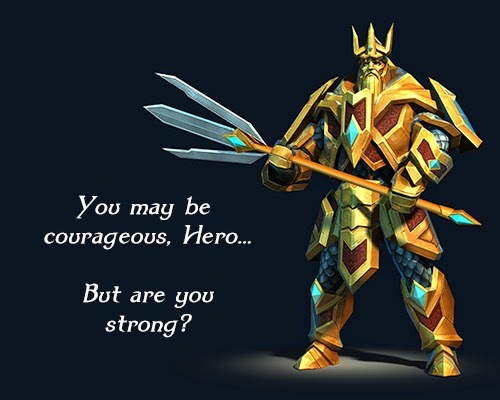 To enter it you need to complete the Alcazzar the Insane quest in the Alchemic Quarters. To advance to the next zone, you need to complete the Forbidden Halls quest chain given by Sentinel Beta at the Binding Galleries leystone. These quests will unlock the next zone, the Forbidden Halls. The three bosses you need to defeat are Erebon the Learned, Moonclaw, and Terminus the Undying. Please see the map above for their locations. After this quest is completed, it is repeatable. Shyla the Sorceress, at the Binding Galleries leystone, has tasked you with finding and defeating 5 sorcerers in this zone. Each sorcerer has two possible spawn points (marked with crossed swords on the map above), but many times instead of the sorcerer an apprentice will spawn. Defeat the apprentice, and maybe next time the sorcerer will spawn. Cragskor is weak to ice magic. Ice mages will help you kill him faster.